In a first for CMHC, the Crown corporation has asked property managers to disclose the percentage of units owned by foreign investors as part of its Rental Market Survey. The results of the additional question reveal that foreign investment accounts for 1.1 per cent in Victoria, 2.3 per cent in Vancouver, 0.2 per cent in Calgary, 0.1 per cent in Edmonton, 0.3 per cent in Saskatoon, 0.1 per cent in Regina, 0.1 per cent in Winnipeg, 2.4 per cent in Toronto, 0.7 per cent in Ottawa, and 1.5 per cent in Montreal. Unsurprisingly, Toronto and Vancouver report the highest percentage of foreign investment. Determining the breakdown of foreign investment has been a priority for CMHC this year. 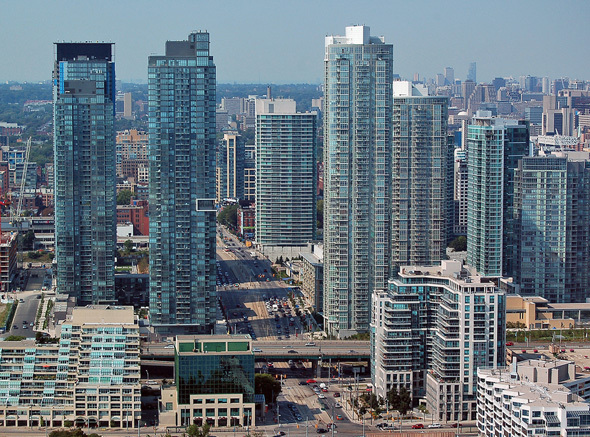 This past summer, the Crown corporation attempted to determine the percentage of condos in Canada that are owned by domestic investors, while also admitting it was unsure what percentage are owned by foreign investors. According to this recently released data, Siddall was correct in his inkling that foreign investment accounted for a low percentage of condo ownership. However, some industry players believe the numbers may be much higher. One of Toronto’s most prolific developers, Brad Lamb, told the CBC in August that he estimates foreign investors make up about 50 per cent of the ownership of condos in Ontario’s capital city. It's very naive to say foreign investment is very low in Canada especially Toronto. Foreign investment is quite high in Realestate arena. Failure to have appropriate checks in place may lead to inflated Realestate prices which in turn makes housing more unaffordable. Unfortunately I believe the source of information they used for the percentage of foreign ownership is unreliable. Owners can register any address with the property managers . I find it hard to believe those numbers . I welcome foreign investment in our condominium market. I welcome foreign investment in Toronto. If they sell their investments there is a 25% wih holding taxon profit taking in Canada.